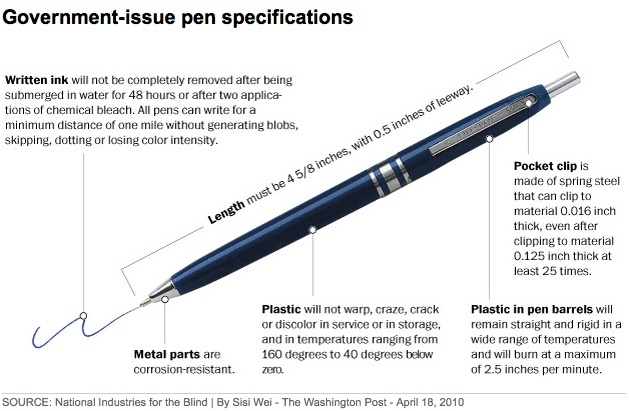 The National Industries for the Blind makes the ubiquitous Government issued pen … available in Federal offices, post offices, and throughout the military. For more than 40 years, this pen has been the standard pen for the U.S. Government. Available online, this unassuming pen is one of the most important writing utensils of the twentieth-century!